For over twenty years, Mark McGrath has been the face of the band Sugar Ray, racking up top twenty hits with songs like "Every Morning", "Someday", "When It's Over". On the side, he has also become a television host on programs like Extra, Don't Forget the Lyrics and Killer Karaoke but, who knows if any of that will prepare him for his next big role. 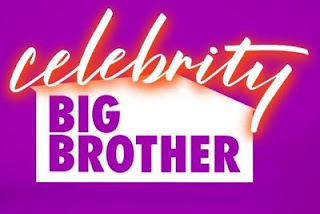 McGrath is one of ten entertainers who have been named as contestants on the first U.S. edition of Celebrity Big Brother. A long time favorite in the U.K., the celebrity version of the "locked up in a house" game has never been tried in America until now. For those not familiar with the show, a number of contestants enter the house for up to three months, completely cut off with the world and only interacting with each other. A series of games gives the housemates different special items or deprives them of comforts with a competitors voted out of the house over the length of the program. For the celebrity version, the length of confinement will only be one month, throughout February, and appears to be a case of counter-programming to the Winter Olympics on NBC. Mark McGrath is a disgusting troll who would eat sh@t to be "famous." He'll fit right in with these z-list losers.